This is my second Hyperion 1300. Using in a manufacturing environment. Verifying product and lot code informaton accuracy. Back to Buy Another One! We already owned one of these scanners, so we knew what we wanted when we bought another one....the same thing! You can't go wrong with this easy to use scanner in a library. The scanner is very easy to get in and out of the stand and fits great in your hand and reads tags easily. 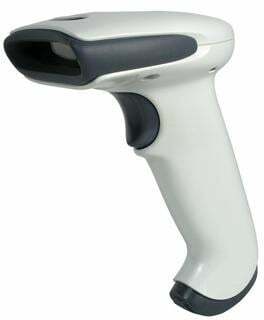 We have other Metrologic scanners and all of the staff like this scanner the best. The Honeywell 1300G-1USB is also known as HHP-1300G-1USB	or 1300G1USB	.